Vibrant and powerful abstract style landscapes created using a variety of media such as collage and acrylic painting. 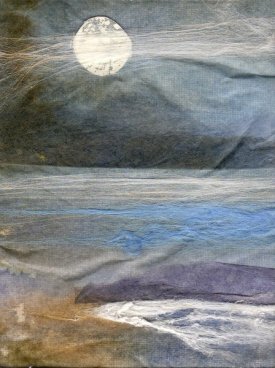 Susan is a textile artist working in Alloa. Her vivid collaged “paintings” for this exhibition are made from fabric and free stitching. 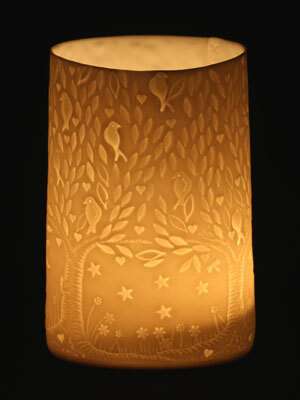 Stef’s delightful porcelain tea-light designs will bring a glow to your Christmas. They draw on traditional and contemporary ideas. 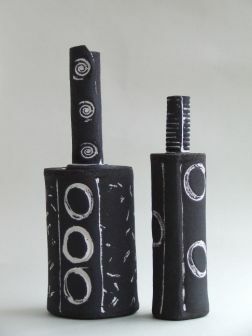 Patricia’s ceramics gained her the Gold Award at the Craft&Design Selected Awards 2012. Her work is defined by fabulous bold, contemporary shapes in neutral tones. Alan breathes new life into bits of driftwood collected around the Fife coastline. They become groups of people, boats and other ideas with inspiration coming from ancient and present times. 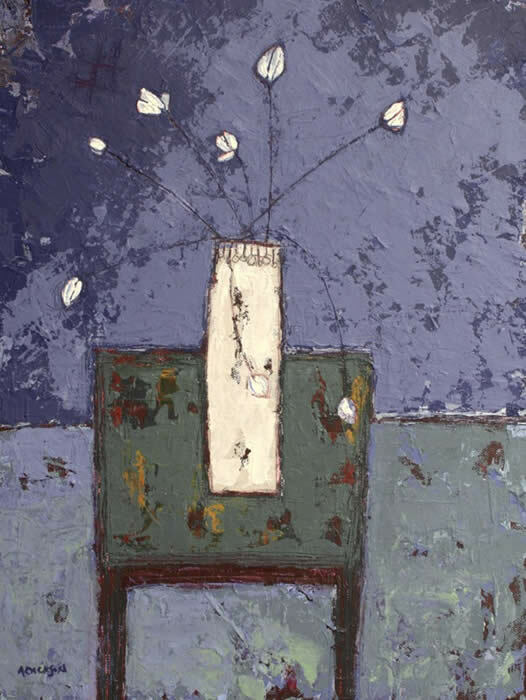 George’s paintings, rich in mood and colour, are acrylic on panel, inspired from settings near his home in Kilbarchan. 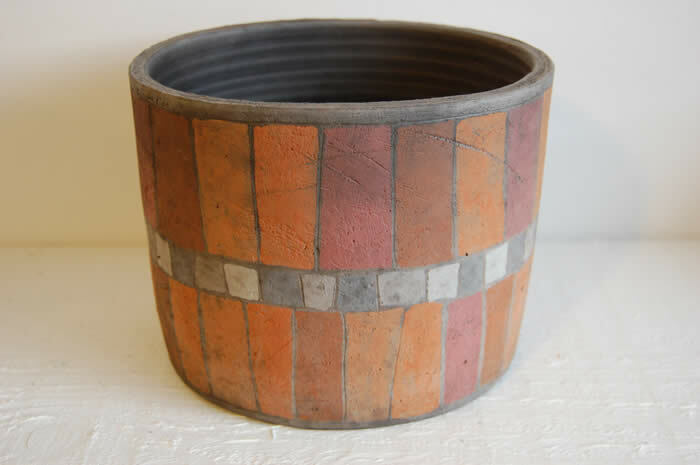 Lisa has a love of nature and is inspired by the beautiful natural structures and textures found in plants, bark and corals, and she reflects this natural theme in the design of her ceramic tiles and vessels. A series of organic figurative sculptures made with recycled materials alongside a variety of multi-media paintings inspired in variety of domestics and wild animals. Exquisitely decorated ornaments using the French technique of decoupage. A selection of delicate jewellery using vintage beads and old style, rolled wall paper. 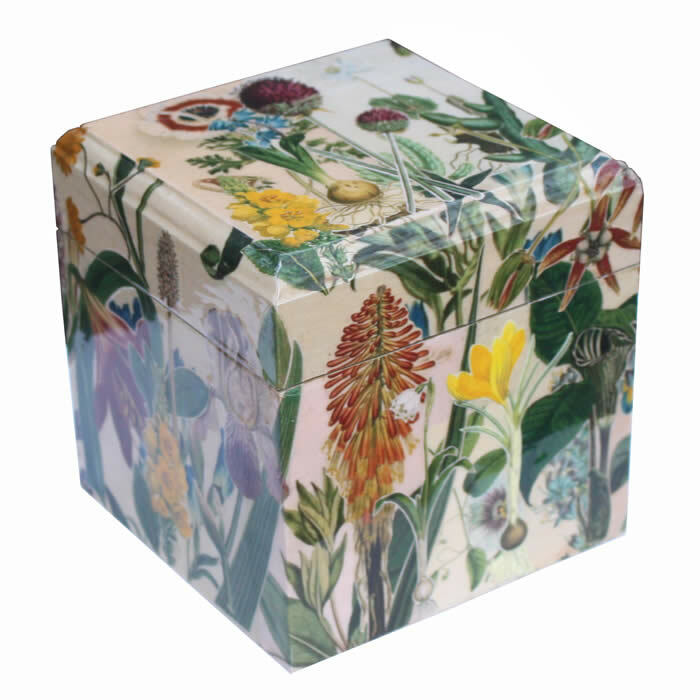 Individually press-moulded and hand-painted ceramic pieces inspired in a wide variety of wild flowers and plants. 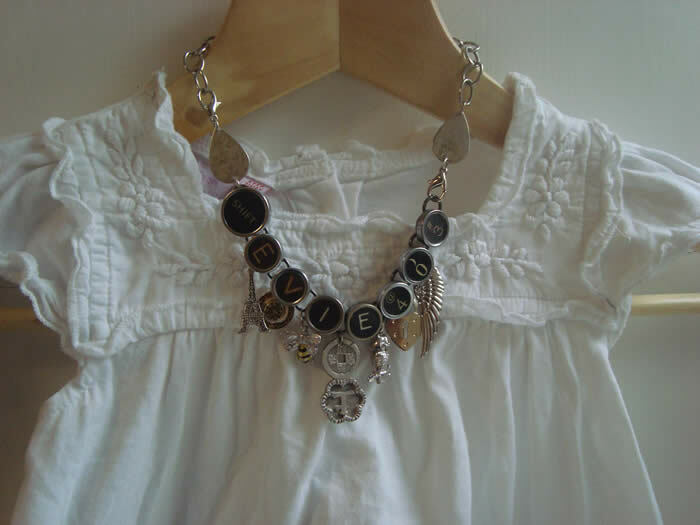 Unique handmade jewellery created using typewriters parts and vintage beads. 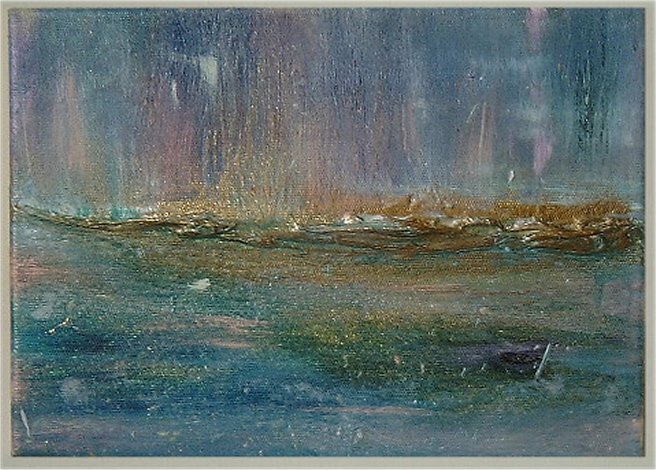 Delicately handmade pictures of Scottish landscapes using silk as a base material and a great variety of other type of media. Stoneware fired ceramics with vibrant stripes. Chris formulates his own high-fired glazes using a variety of minerals to produce a rich colour response. Jewellery created from a magpie selection of metals which include silver, aluminium and brass along with treasured biscuit, sweet and toffee tins. 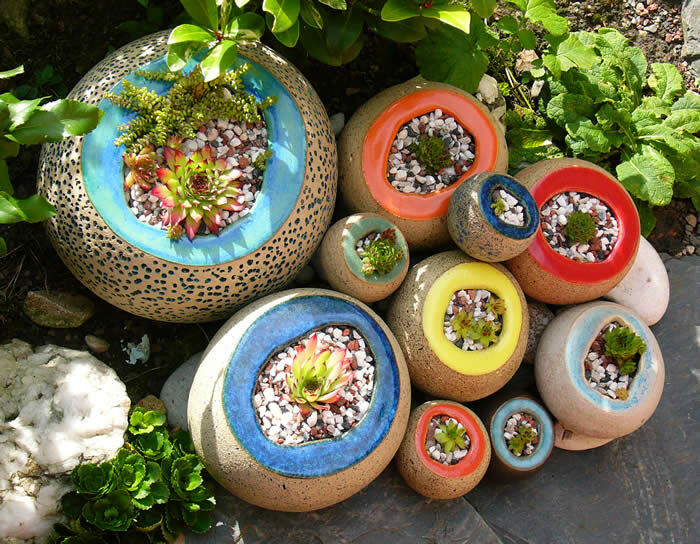 These ceramic planters designed for the outdoors emulate geodes with the rough stony exterior splitting open to expose glistening colour. Creates abstract paintings and landscape collages with a three dimensional structure and a harmonious use of colour. Uses simplicity and subtlety of line and colour with layers of paint and collage to make her still life and landscape paintings. Inlaid shapes and patterns characterize these ceramic pieces in both blue and bold black and white. Birds and leaves are included in the inspiration for these delicate sculptural jewellery pieces formed using silver (some also with gold) and copper metal clays. 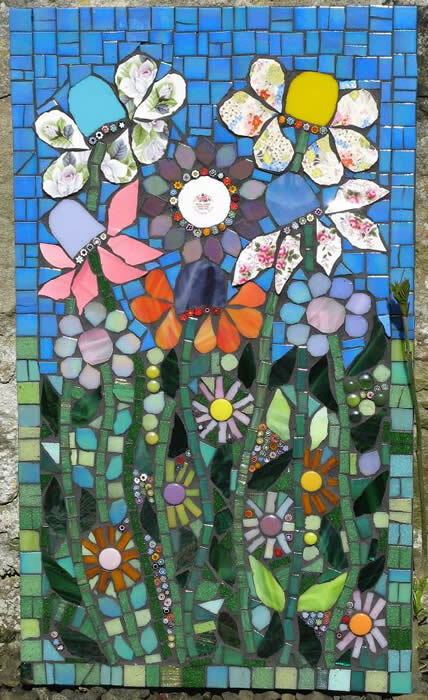 A decorative glittering range of mosaics for the home and garden featuring recycled pottery and glass. 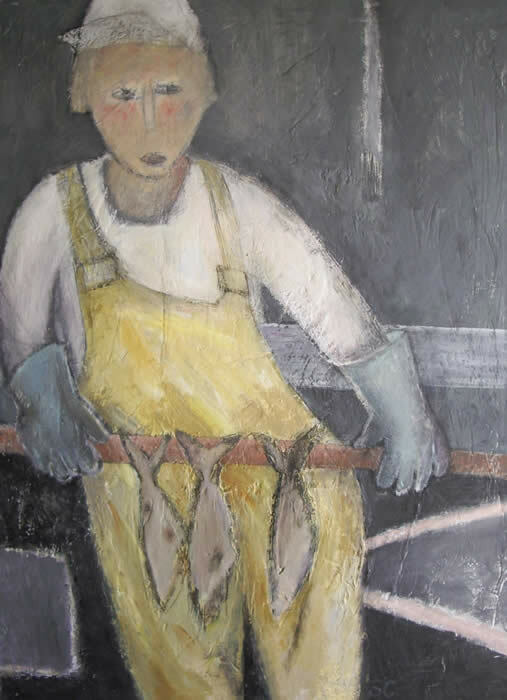 Uses a restricted, neutral palette of colour in mixed media to capture textural human figures and animals. 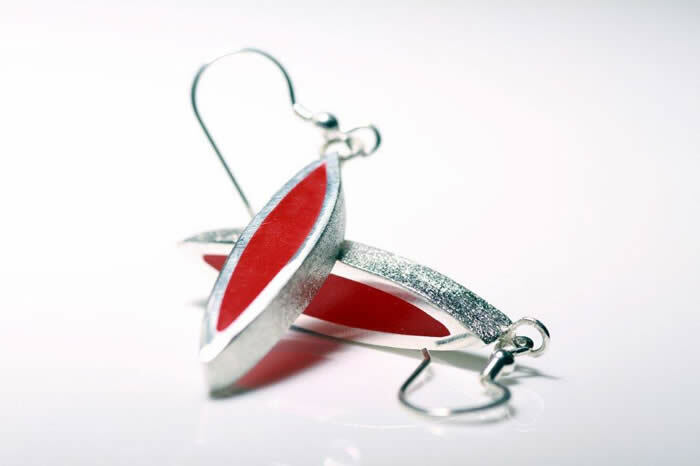 Designs one off jewellery pieces using molten silver and enamel. 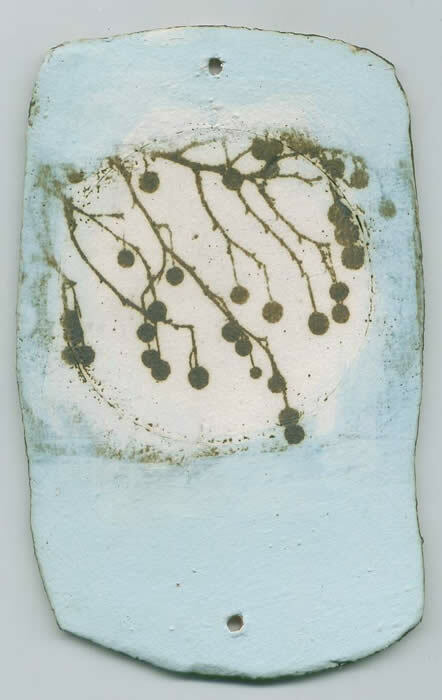 Striking use of natural pigments in her smoked fired ceramic pieces. Makes vibrant, knitted fabric hand bags and also jewellery with colourful patterned beads. Creates unseen realities in his atmospheric mixed media paintings. 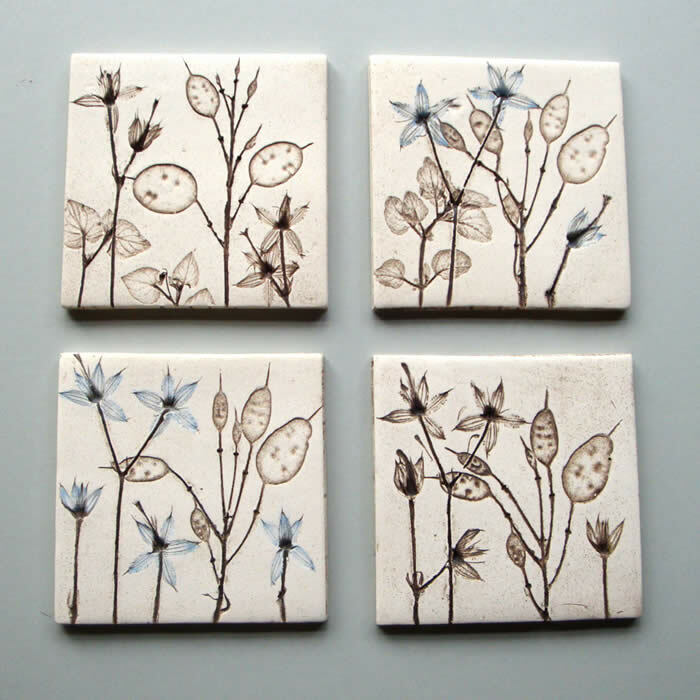 Plays creatively with photographic imagery on tiles and hand built pieces. 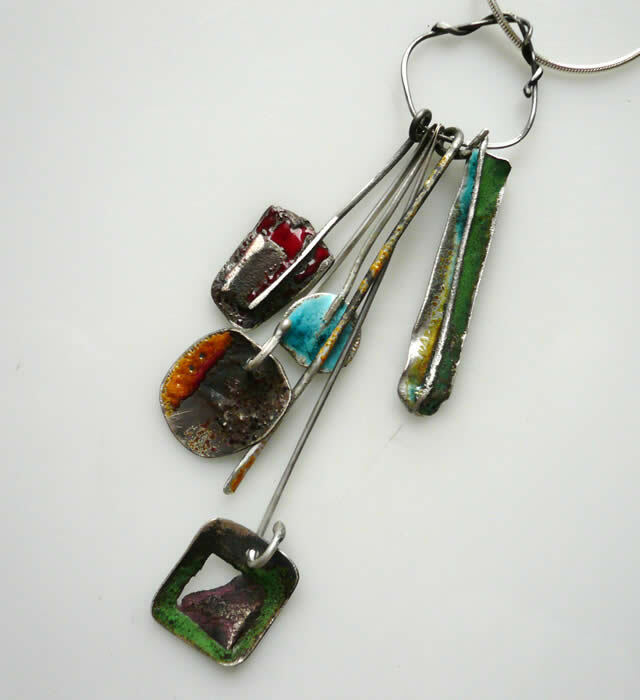 Combines silver and polyester resin in her range of lovely jewellery. 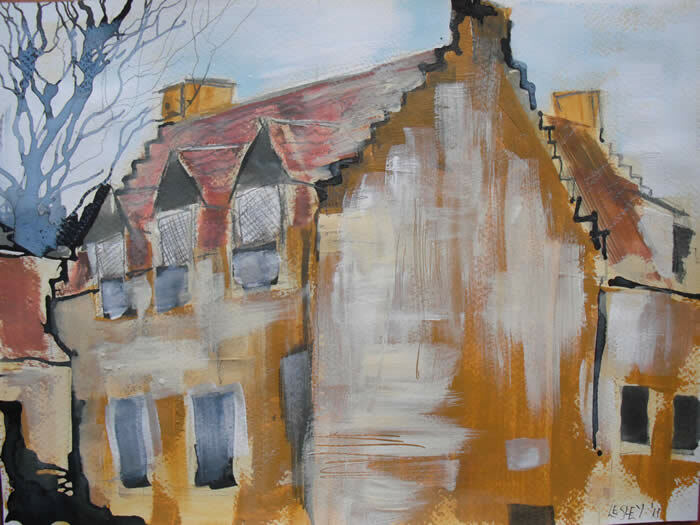 Mixed media paintings in a very free style that capture the character of Culross and other coastal villages in Fife. Original artwork and Screen Prints with a hand drawn quality. 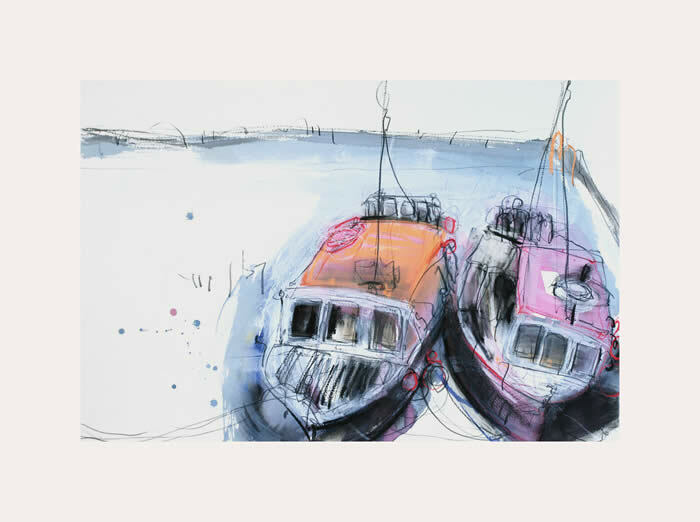 Kelly’s latest work depicts boats and animals. Comical and whimsical figurative ceramics. 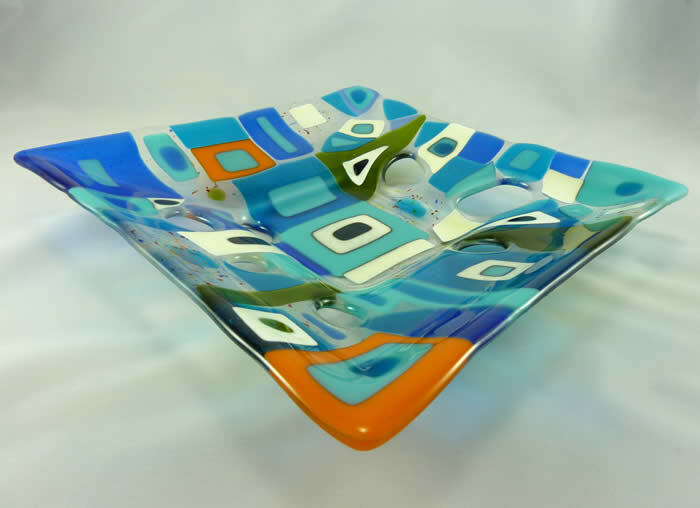 Vibrant and decorative glass pieces incorporating geometric design and bold colours. 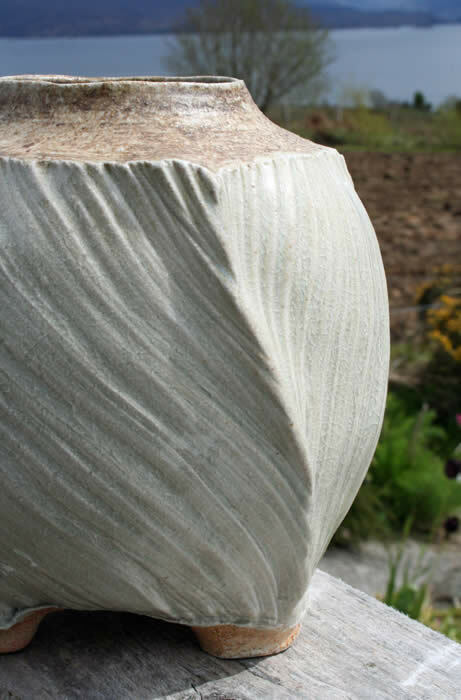 Barbel Dister produces sliptrailed domestic earthenware,inspired by her surroundings. The pottery often features chickens, plants and the sea. Ceramic conkers on a gigantic scale that look great in an outdoor setting. 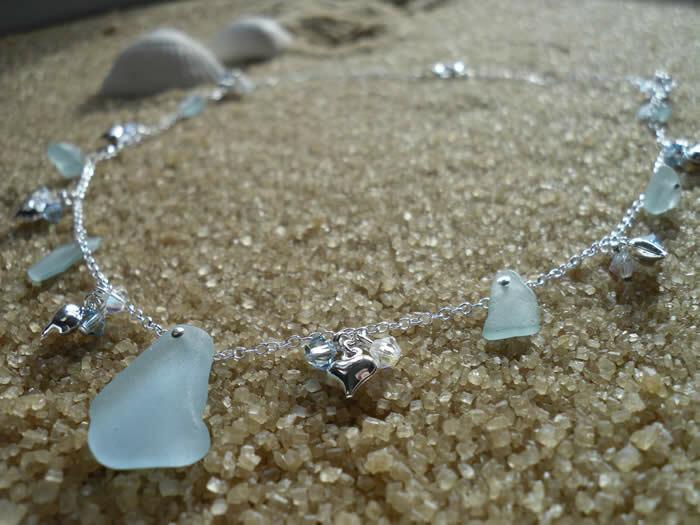 Evocative of beach walks, Gaynor incorporates found pieces of sea glass in her silver jewellery. 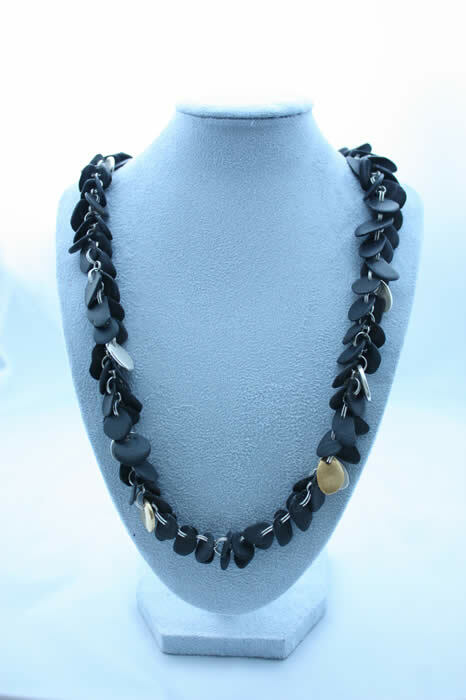 Smooth fragments of slate combined with silver and gold are used to great effect by Kimberley to create exciting wearable jewellery pieces. These Raku fired ceramics pieces illustrate the narrow streets and unusual buildings in Culross. Unusually Helen knits her work around a shape (e.g. balloon) then soaks it in porcelain or bone china slip again and again to add strength. 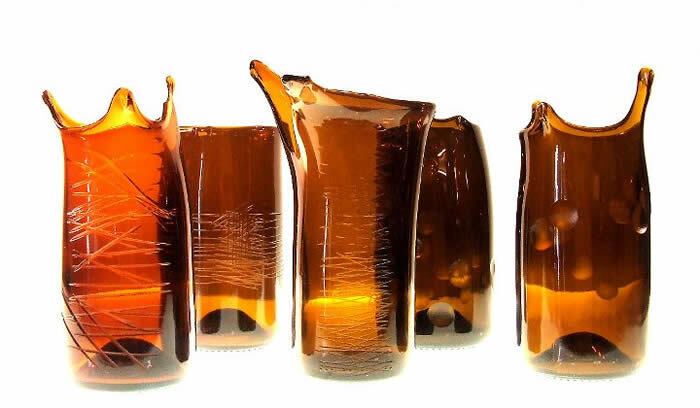 The result is a delicate, textural finish. 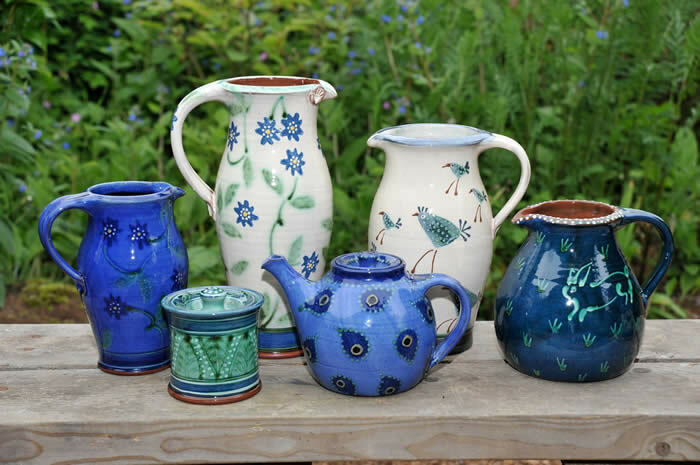 Inspired by Mexican and American folk art and Victorian Staffordshire figures, Helen produces a range of whimsical, functional and decorative pieces. Her work is hand modeled in earthenware and have great appeal for the theme of this ‘Curiouser’ exhibition. Helen is based near Kelso. 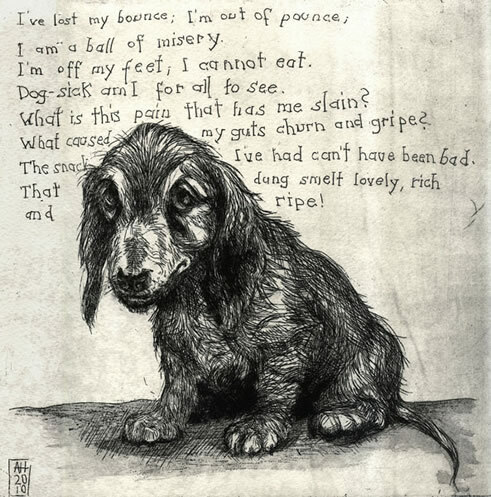 Domestic animal etchings, some with backgrounds of zany poems are on display in this exhibition. Living in central Scotland, her friends and household feed her imagination. 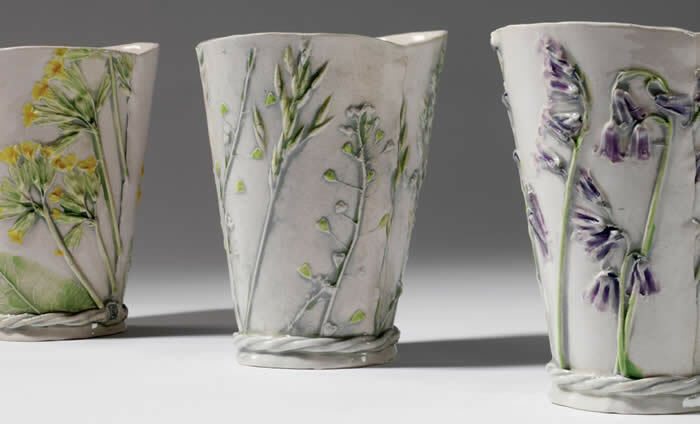 In the main, Ruthanne likes to make functional, soda glazed oven and tableware. 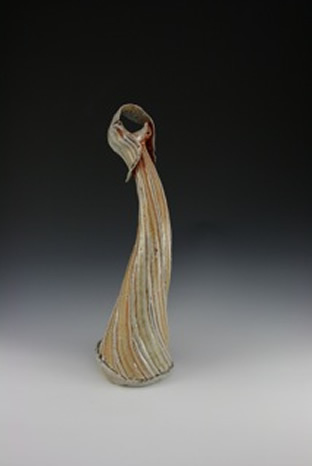 Additionally, her individual handthrown pots are made using high fired stoneware. 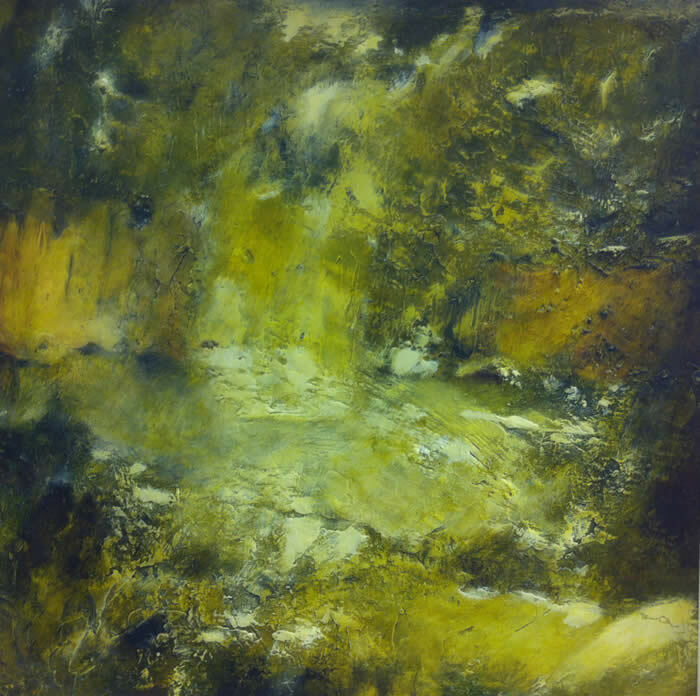 Her techniques give a variety of natural colours and bold, eye-catching texture. Pots are made in a single sitting, leaving unique traces of the pots maker. Mark draws inspiration from the sea incorporating objects found on the shoreline, producing unique pieces. 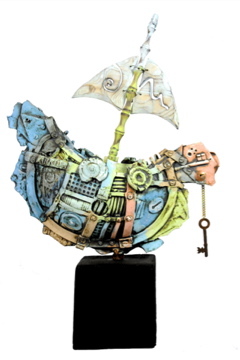 Bold ships, boats and houses, including ‘storm in a tea-cup’ pieces selected especially for this exhibition. 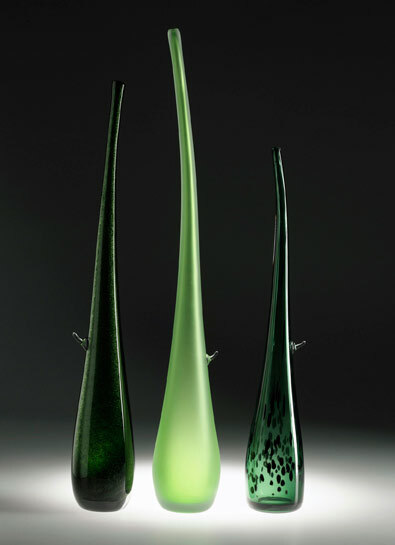 Elin produces an array of handblown glass. She is based in Alloa, Fife. We are showing some of her delightful ‘igloos’. ‘shoots’, fish and oilamps. Mark produces fantastical earthenware wall-hanging birds and tableware that are rich in colour and luster. Popular, humorous colourful drawings of children with a mischievous edge using pastel and charcoal. 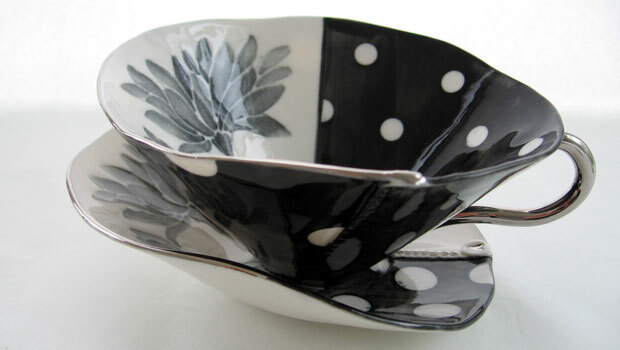 Ceramic fabrics are handmade and painted at the artist’s home using porcelain. 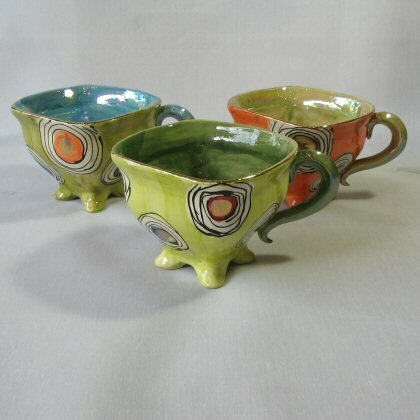 Although the designs and colours are striking, her work is fully functional.